Elliot Wuu has won numerous state, national and international competitions and performed across the globe. Most recently, Elliot was the winner of California State as well as the Southwest Division MTNA Competitions, and he won Second Place in the MTNA National Competition in Chicago. Other notable top prizes he received include First Prize and special award in the Kaufman International Youth Piano Competition, First Prize in Young Musician Category and Second Prize in Junior Category of the International Russian Music Piano Competition, two-time First Prize and the special Centennial Award of the Pacific Musical Society Competition, Winner of the Piano Award of the Mondavi Young Artists Competition, Winner of California CAPMT Competitions for numerous years, Winner of Marilyn Mindell Piano Competition of the Peninsula Symphony, and First Prizes in the US Open Music Competition. As winner of El Camino Youth Symphony Concerto Competition, Elliot was a featured soloist performing with the Symphony. In the recent years, Elliot has performed in major venues in the U.S., Italy, Germany, United Kingdom, and China. His performance at the Merkin Concert Hall was aired on WQXR. He also performed at Holywell Music Room where Haydn performed before. Elliot made his solo recital debut in the Sherman Clay Steinway Young Pianist Recital. He also performed in Steinway Society Young Artist Concert, Pacific Musical Society Centennial Gala, Peninsula Symphony Family Concert, Junior Bach Festival and Old First Concert in San Francisco. He has also performed in masterclasses for Ruth Slenczynska, Dame Fanny Waterman, Antonio Pompa-Baldi, Matti Raekallio, John Perry, Niel Immelman, and Yin Chengzhong. 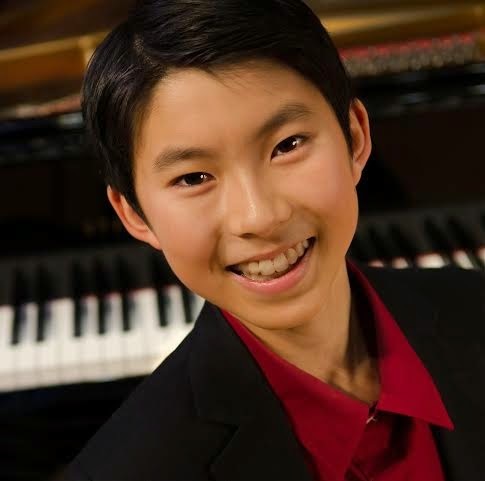 In 2013, he was selected as one of the twelve young pianists from around the world to participate in the Inaugural Lang Lang Junior Music Camp in Munich, Germany, where he performed and worked with Lang Lang. Since 2014, Elliot is named a young scholar of Lang Lang International Music Foundation.